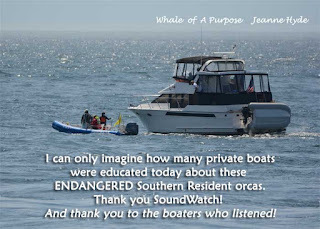 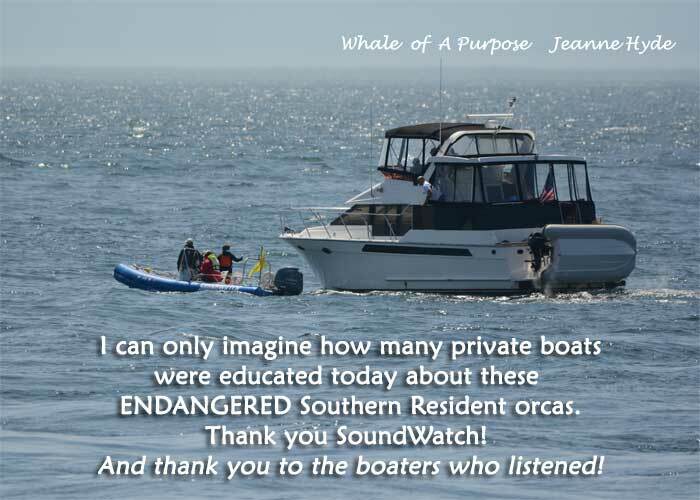 ...Soundwatch was out there heading off private boats before they got into the whales...thanks Soundwatch! 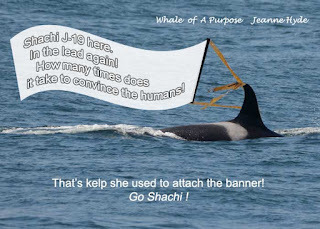 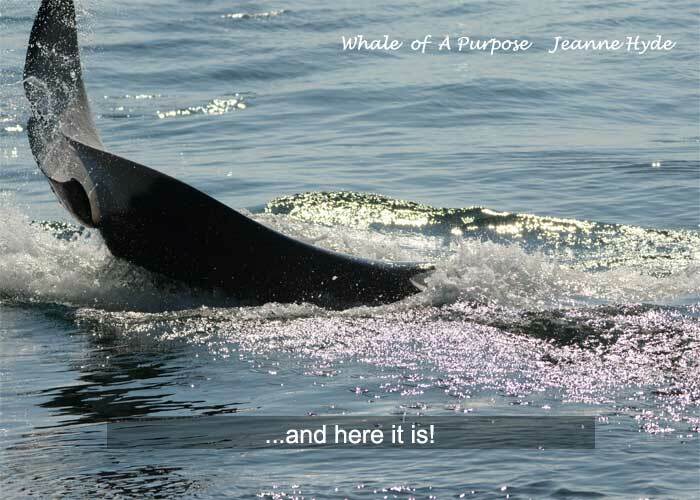 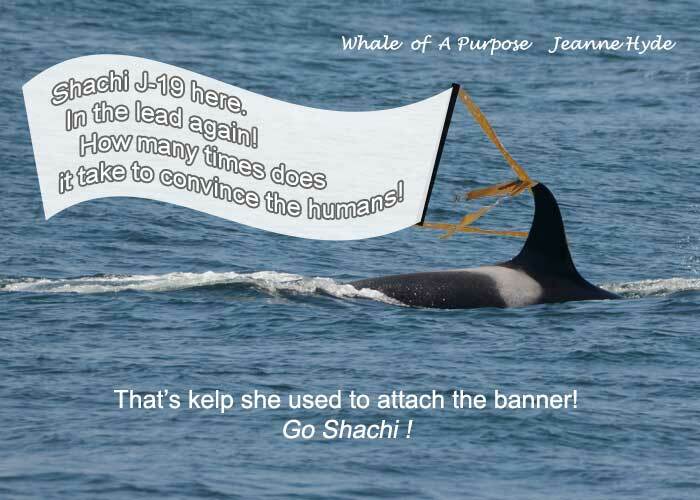 You don't get the kudos you deserve for all the hard work you do for the whales. 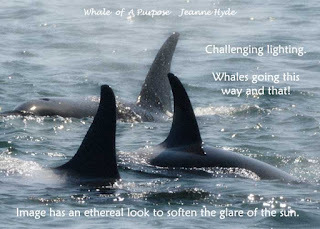 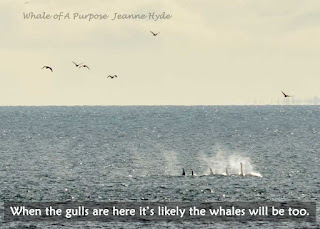 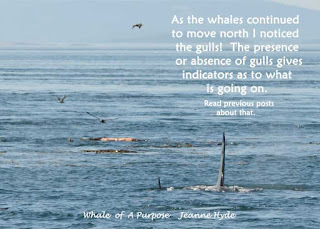 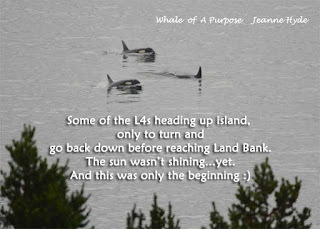 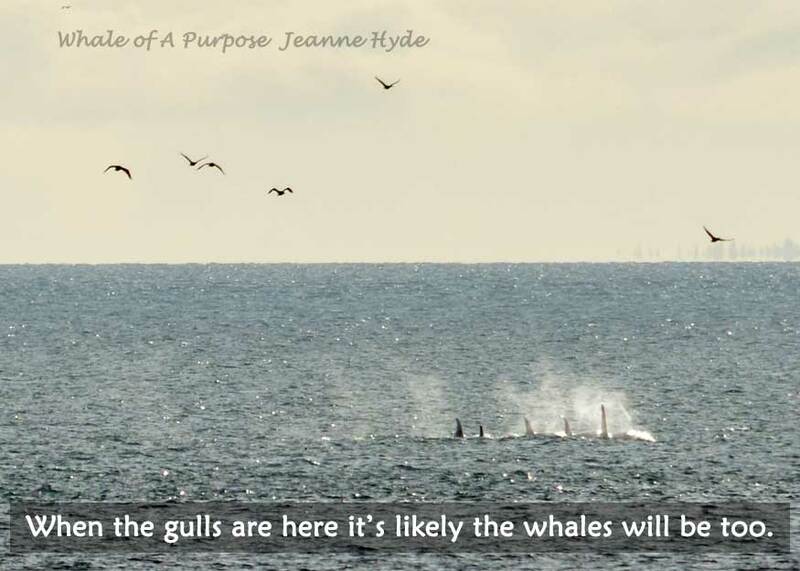 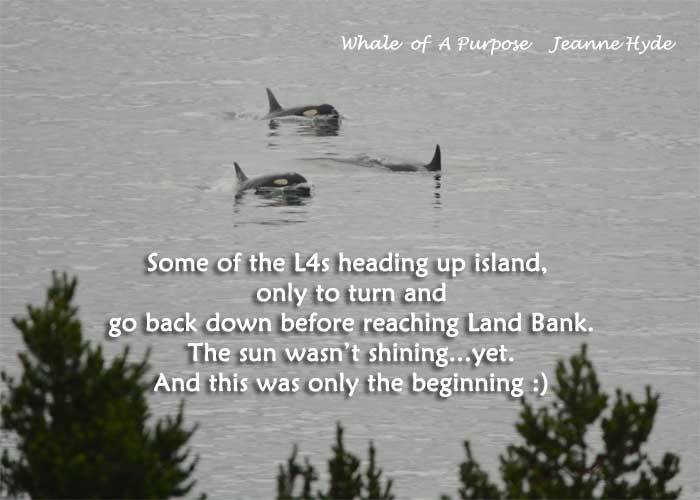 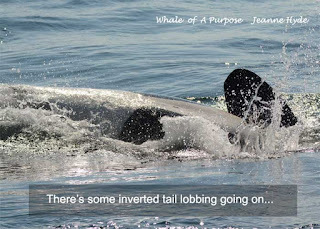 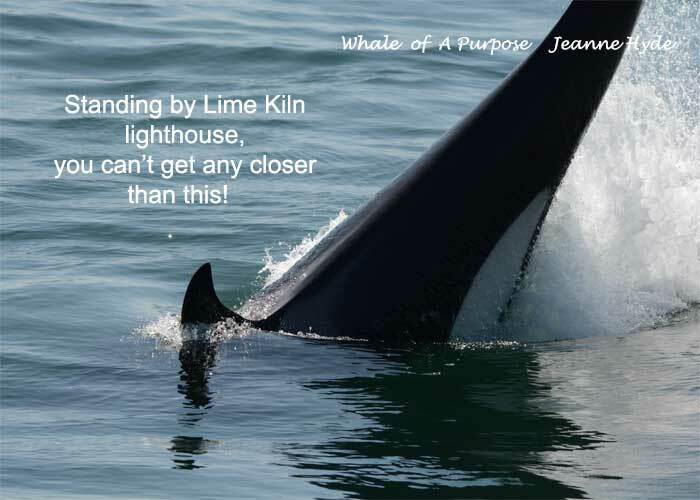 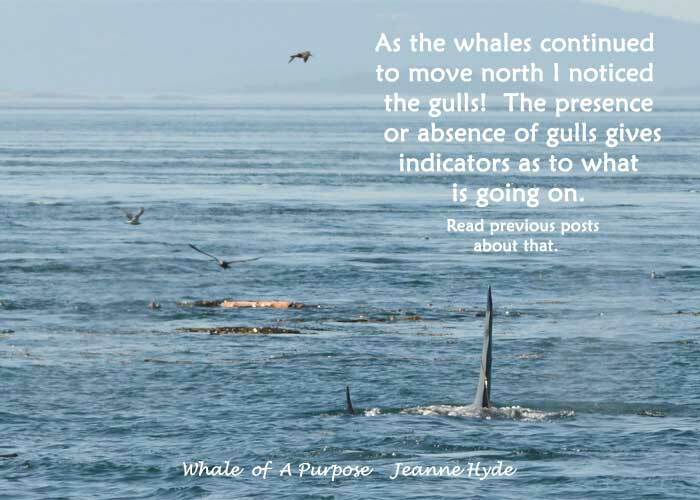 ...soon the whales came back up island and socialized along Land Bank and Lime Kiln Pt. 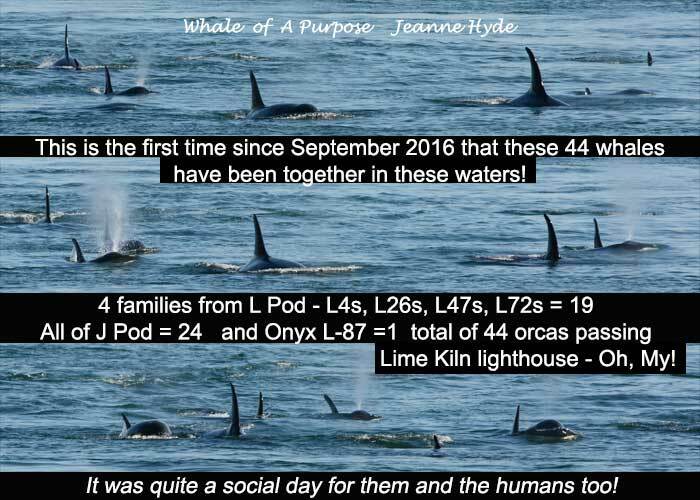 State Park...It is the first time since September 2016 that these J and L groups have been together in these waters! ...it was so busy with whales you didn't know which way to look next...they were definitely into socializing big time! 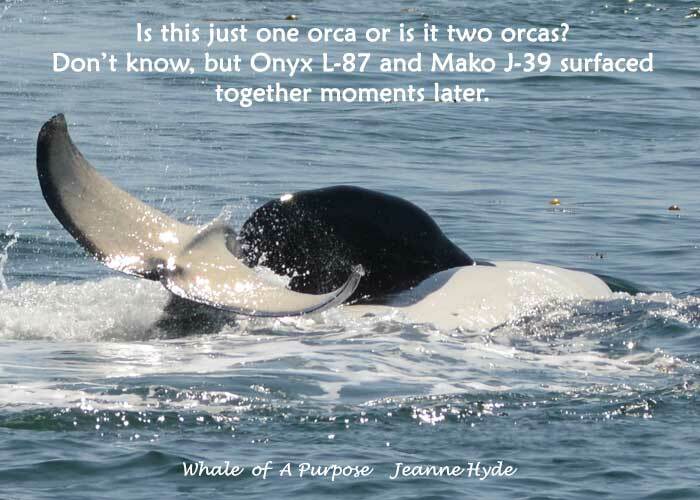 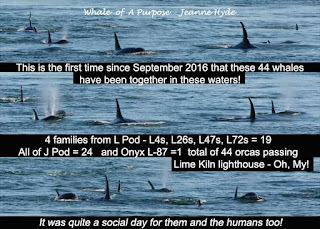 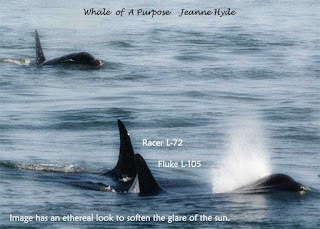 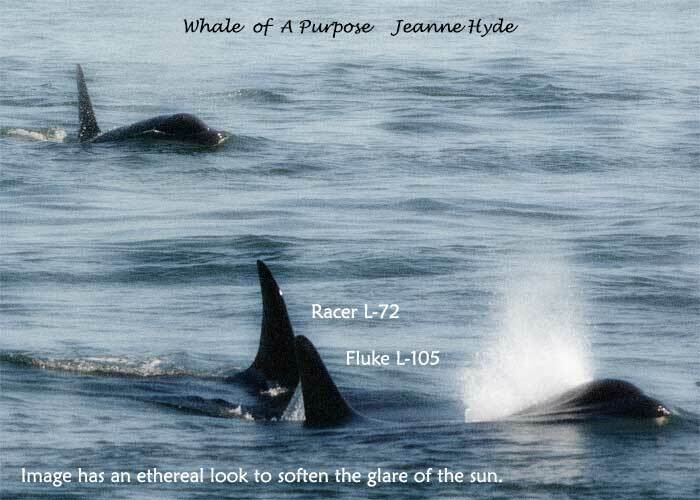 ...they looked very energetic, more interested in social time than foraging time...though what orca would pass up Chinook salmon if they saw some! ...always on the lookout...even in my sleep!